If you’re thinking custom aluminium, then think Suncoast Fencing. We can work with you to design and manufacture beautiful and unique pieces to suit any home style. 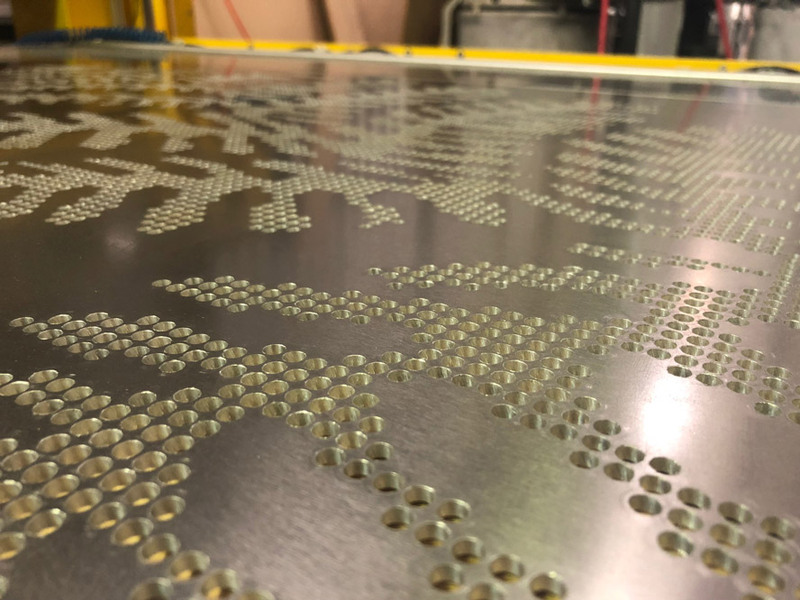 With our aluminium CNC Router (computer-controlled cutting machine) we can easily create for you, a one-of-a-kind masterpiece that will certainly have you standing out from the crowd. Our aluminium fences can help improve the look, flow and feel of your home space, with the added bonus of a low-maintenance and durable material. Whether it’s to improve the value of your home, or simply to add that ‘WOW factor’, our aluminium fences and screens will be a sure way to enhance your lifestyle. You might be looking to gain more privacy around your outdoor areas or to create some stylish dividers for your place of business, whatever the need, we have endless options available to you. Our promise is to deliver solutions that perfectly suit your home or business with a service and product that is simply a ‘step above’. Unlike other metals, aluminium is naturally resistant to corrosion, and the added bonus? It looks great! With many different styles and finishes available you can create that classic or modern look to add style and design to your area with little to no maintenance. Or if you’d like to learn more or book a Free Consultation with one of our experts, please get in touch! Great for custom alluminium fencing and powder coating. Great quality work. Some time ago arranged for double gates for front of carport for caravan and small pa gate. All manufactured superbly and great quality at a reasonable price. Highy recommend. I was looking for an unusual bracket in order to modify a balustrade. All the big brands in fencing brushed me off on the phone so I thought I give Suncoast Fencing in Woombye a shot. I almost always have good experience with businesses in Woombye. I wasn't disappointed again. Better they went out of their way to help. They said that the production of such parts had stopped years ago but there might be some brackets left somewhere in storage. 10 minutes later I had what I was looking for. Best was the price. $2 for a cast aluminium bracket with matching screws. I was expecting $4-5l after my websearch. Guess where I'll be going next for fencing and gates. Needed to replace old timber balustrades on my home with aluminium ones. End result was spectacular. Good product. Reasonable prices. Friendly helpful staff.